It kind of goes without saying, but you’re going to want to make time to see some of the Australian coastline while on vacation. And with so many to choose from, it was hard to narrow down our list, but we’ve got something for every kind of experience. 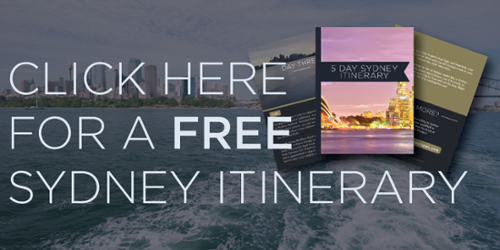 Whether it’s pristine sand on a private beach or people-watching in the city’s hot-spots, we’ve got something for everyone on your Australia vacation! If you got the explorer spirit, venture down to Western Australia for this 13-mile sweep of stunning white sand beach. Adventurous types won’t mind making the 2 1/2-hour flight from Perth to this exotic port for a frontier-town atmosphere and unlike many of the other popular beaches, it sits on the Indian Ocean rather than the Pacific, which provide visitors stunning sunsets. Along the sunlit beaches, you’ll see visitors riding on camel-back, trying to capture that perfect shot of the horizon. And if you plan your travels between the months of March and October, you’ll have a chance to see the spectacular “Staircase to the Moon” effect when the moon is at its fullest, creating its amazing optical illusion. Have your cameras ready! It’s almostimpossible to improve on the pristine arc of shoreline along the Great Barrier Reef, but beachgoers who are seeking total serenity should head here. An out of the way destination, Lizard Island boasts 23 separate stunning white beaches over a relatively small area, but it does come with a cost. Every inch of beachfront property is worth it since you’ll have access to your own private villa, as well as access to one of the most secluded and relatively undisturbed sections of beaches in the country with multiple amazing diving and snorkelling spots right at your doorstep that are sparkling with vibrantly colored reefs where you can see various fish. Make sure you book a spot here well in advance since it’s a bit exclusive! This beautiful bit of Australian heaven has evolved into a hip beach getaway thanks to an influx of fashion-industry jet-setters who love the calm waves and picturesque backdrops for yoga sessions, or just for lounging lazily. Easily reachable in a short trip from the nearby Gold Coast as well as other destinations on the Northern New South Wales coast, Byron Bay is the easternmost point of mainland Australia. Its location makes the majority of its beaches ideal for those sought after surf breaks that entice surfers from all over the world. Clean and undeveloped, the beaches are not overcrowded with high-rises, or in fact with buildings of any sort. This scenery also makes hiking fun; try going along the trails near the beach to find lookouts where you can see bottlenose dolphins, whales, and hang-gliders taking off from nearby decks. 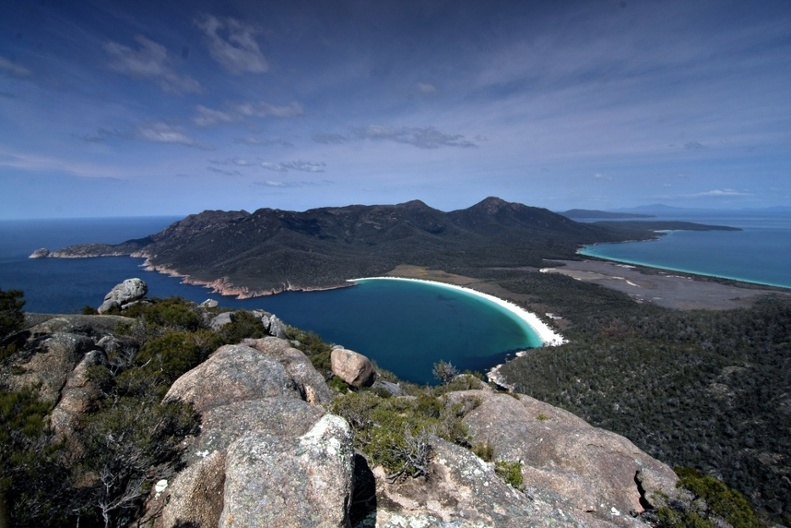 To get to the island of Tasmania you’ll have to travel by plane or ferry, but once you’re here, it’s worth it! On this flawless beach, you can see the Hazards Mountains in the distance and experience a picturesque piece of Tasmania’s expansive Freycinet National Park. Wineglass Bay is reachable by a roughly 2 hour drive from Launceston and 3 hour trip from capital city Hobart, and once you’re there, the beach is a fair hike but it is most definitely worth the effort! Taking a walk along its shores is one of the true must-do nature based experiences in Australia’s southernmost state. And you can also sail through the bay or do a cruise if you don’t feel like venturing down to the beach, but still want to see one of the most photographed parts of our country. This wouldn’t be an Australian beaches list without one of the most iconic strips of sand in the world. While you won’t get the pristine, close-to-nature experience that you’ll get at some of the others on our list, you will get a good dose of Australian atmosphere, history and people watching. Sydney‘s famous stretch of sand at Bondi is a long-time landmark and also something of an icon of Aussie beach culture. This beach is where the infamous bikini protests took place, forever changing women’s beach fashions. Bondi Beach is also popular because you’ve got easy access from the center of Australia’s largest city and there’s lots of cafes, bars, and restaurants nearby that make this beach adventure a full-day experience! 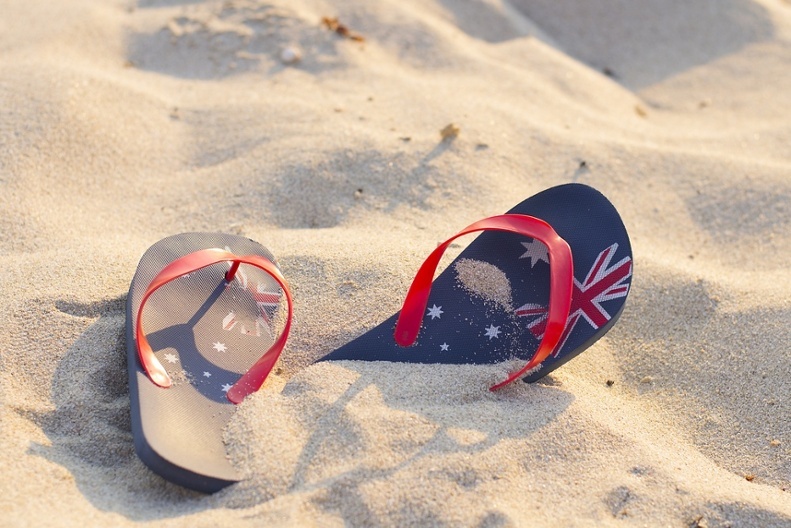 Now that you’ve got a good idea of some of our favorite beaches here in the land down under, let’s start planning your trip, mate!